Youth are activated to produce new data that helps them to coordinate and lead citizen monitoring activities, leveraging on the existing networks. In 2017 AM dreamt the impossible. The idea that citizens can hold their governments accountable for delivery of development outcomes if they are equipped with capacity to monitor the SDGs. Once collected, data by citizens become a powerful tool through which ordinary people are empowered to engage with their own governments as part of the monitoring and review agenda for the SDGs. The dream is to reinstate governance systems where leaders serve their communities and prioritise their needs in an open society. A monitoring framework has been developed based on the concept of citizen-generated data (CGD). It entails two research tools, i.e. a citizen’s survey and citizens hearings, both of which have been developed, tested and validated. The fieldwork was conducted in 21 communities, composed of 21 citizens hearings and data collection form 200 household per community. Youth Champions guided by in-country experts conducted hearings in rural, peri-urban and urban areas in the seven countries (Ghana, Nigeria, Sierra Leonne and Senegal in West Africa; Zambia, Botswana and Malawi in Southern Africa). The in-depth results shed light on the state of delivery of selected Goals in these communities. The data that emerged is unique in that it covers indicators that do not currently have data from official sources - thus bringing out pertinent information about segments of the population that are often left behind, that is women, youth and rural excluded communities. Currently the same exercise is being replicated in 3 East African countries, namely Tanzania, Kenya and Uganda with the support of the UN Women. For the second year of implementation we are deepening the work by evolving from ‘gathering the voices’ to ‘influencing actors for change’ in specific and measurable ways; especially focussing on facilitating dialogue between communities and duty bearers to address issues raised during the data collection phase. African Monitor (AM) was founded in 2006 as an independent continental body to monitor development commitments, delivery and the impact on grassroots communities. AM is registered as a not-for-profit organisation in South Africa. Over the years, AM has focused its advocacy on different policy issues including pro-poor economic opportunities and inclusive economies, youth development and financing for development. 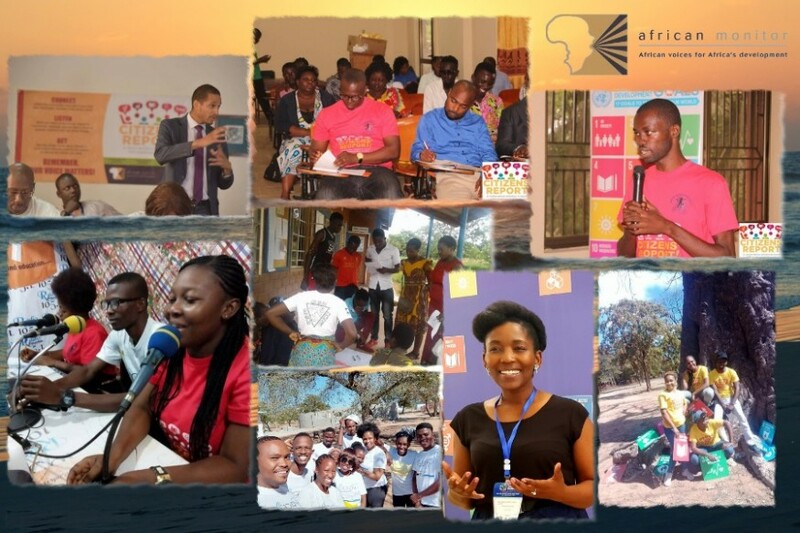 AM team is made up of 8 core staff members, supported by 10 field coordinators in ten African countries and more than 40 youth champions working at the national level in 40 marginalised communities.